SKU: N/A. Category: Medical. 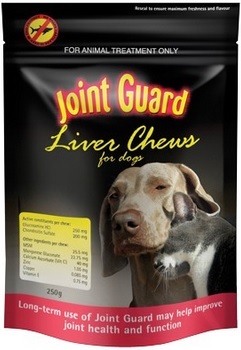 Tags: Joint Guard, Liver Chews. 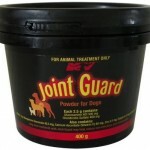 Joint Guard contains a unique and clinically proven combination of Glucosamine hydrochloride and Chondroitin sulfate along with Methyl Sulfonyl Methane (MSM), Manganese and all the important co-factors that help keep your pet’s joints as healthy as possible.